The wind was getting stronger. By now it was a truly wild and squally night. I drew back the curtain and took a look out of the window. On the far side of the glass the darkness itself seemed to be moving. Trees thrashed about in the gale; branches flickered in front of streetlights, throwing fantastic shadows and losing in torrents the last of their remaining leaves, which rattled along the road and blew against the side of the house with the sounds of harsh whispering. Print-on-demand copies now available here. Greg found the email waiting in his inbox on Monday morning, the subject line shouting at him from the screen in capital letters: LOCKDOWN DRILL ALERT. Greg had seen pictures of lockdown drills. Children curled in fetal positions under their desks, armoured SWAT teams with automatic weapons charging down school hallways. In one photo, the face of one SWAT team member was flushed blood-red, his mouth frozen open in an animal-like howl. Greg could hear those angry shouts ricocheting off the metal lockers, stabbing deep into the ears of the terrified children huddled at the edges of the photograph. E-zine is already available here. fore a long time - and with good reason. It's a sub-genre that I recall from old-time pulp magazines in stories by writers like Theodore Sturgeon, C.M, Kornbluth, and Fritz Leiber. Everyday reality masks a starting truth. The approach was revived in the Seventies by, among many others, Alice Sheldon ('James Tiptree Jnr') in stories such as 'Beam Me Home'. The eponymous janitor/handyman of an apartment building is an undercover alien (not a spoiler, as this is the first thing we learn). 'Mr Saria' is a reptilian creature who has a tendency to overheat the apartments above his basement lair. He uses a kind of holo-scrambler thingy to appear human to all the 'hairy monkeys' who keep pestering him to fix stuff. At this point you might wonder why any being would want to travel many light years for such a mundane lifestyle. But Saria's true purpose is more elevated than fixing radiators. Without giving too much away, there's a strong element of wish-fulfilment in this one. A pleasant tale of interstellar decency, in fact. More from this running review shortly. This tale from Tree Spirit... is an interesting example of the historical genre story - one with what Monty James calls 'the slight haze of distance'. There's also a fine example of the framing narrative that also distances the action and leaves us wondering just how reliable a narrator can ever be. Michael Eisele begins with three young-ish veterans of the Great War on holiday in Wales. The men have just failed to climb a mountain, and are pestering locals in a pub for ghost stories. Eventually they settle on what they assume to be an elderly local, only to find that he is English and at least as well-educated as they. The old man, Ambrose, tells the tale of a encounter when he unwisely set off into the mountains unaccompanied, had an accident, and by rights should have died. That he did not he attributes to the intervention of Willow Rawnie, a beautiful young woman of the Roma people. She heals his injured leg by a combination of folk remedy and what seems to be enchantment. Then the two part company, but not before Ambrose offers Willow a token of thanks in the form an ancient gold coin. The story is one of the 'good' spirit, offering wonder and pathos instead of suspense and terror. It's not easy to pull off this kind of tale, but I think Eisle does it very well. He has an excellent feel for the rich texture of myth and word-of-mouth storytelling. I had never heard of Willow Rawnie before, but here she is, a truly memorable character who epitomises one of the marginal, overlooked aspects of my own people's history. So, another good one. More from this running review very soon. The title story of Michael Eisele's new collection from Tartarus is, as one might expect, a substantial tale. The novella concerns Arv, a gifted carver of a tribe that lives near the Great River. Arv's people have no boats, but a neighbouring tribe have mastered the art of canoe-building. Arv is fascinated by the sight of a passing boat, not to mention the beautiful woman he sees in it. We are back in tribal territory, a world before or possibly after civilisation as we know it. Arv's tribe is a Matriarchy, and he is less than pleased when the female ruler decrees that he will marry her less-than-charming daughter. To sugar the pill Arv is given a high-status task, carving a totemic image on a new longhouse. However, when he goes off into the woods he has very different intentions. A great tree has been struck by lightning and Arv believes that he can - using stone tools - craft it into a boat. The tree spirit has other ideas, however, and it only thanks to the intervention of a character called Hunter that Arv manages to strike a deal with the dryad-like being. Hunter is, incidentally, one character who seems to resemble a 'modern' American, and his remarks to Arv suggest that we are indeed living in a post-apocalyptic future. But this might just be down to my misinterpretation. Anyway, Arv makes his boat with Hunter's help, and carves the face of the lovely boatwoman into its stern post. When his betrothed finds out what he's been up to she calls the wrath of the tribe down on him. So, with Hunter's help, Arv launches the boat onto the Great River and sets off downstream. There he encounters the tribe of his muse, and becomes the focus of respectful attention. However, there is a final twist to the tale, as Arv and the tree spirit embark on another journey. This is, I feel, an artist's story, carved as carefully as Arv's boat. There is enough material here for an entire novel about the various cultures of this tribal world, which is lovingly depicted but never presented as a kind of touchy-feely Utopia. More from Tree Spirit and Other Strange Tales soon in this running review. More good listening from Ian Gordon's Horrorbabble channel. 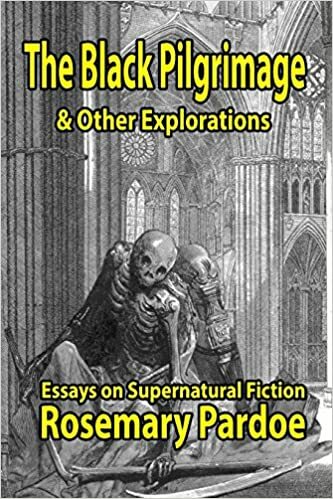 Worth a listen if you like old-time weird fiction (pulp and pre-pulp, including several from the golden age of the ghost story). Over at the BFI Adam Scovell has an interesting roundup of megalithic monuments on screen. Not surprisingly, they tend to be British, with a distinct bias towards 1970s telly. Most of them I'm familiar with. Doctor Who's encounter with The Stones of Blood is great fun. Children of the Stones is rightly revered as a classic of children's TV. And Night of the Demon wedges in a scene at Stonehenge despite M.R. James' baffling omission of the thing in his original story. There are also a couple of new ones on me. One is John Betjeman on Avebury in the series Discovering Britain. There's also a short Derek Jarman film called Journey to Avebury which is, not surprisingly, a bit weird. Perhaps the barmiest of all, though, in the biker-folk-horror film Psychomania (1973), which has a great finale. It makes little sense at a rational level, but - as sometimes happens with films that are not exactly big-budget - it looks great. Oh, and Beryl Reed is in it, which will delight a lot of older Brits like me. Not a ghost story, but an interesting radio adaptation for EFB fans. We continue with the theme of folklore, but with a very different setting. The professor of the title is a German academic at Frankfurt University. Unfortunately for Herr Professor Hugo, his rise to academic success coincides with the political rise of the Nazis - or the 'marching morons', as he considers them. When Hitler seizes power the professor makes an injudicious remark and is sent on 'sabbatical', back to his family home in rural Bavaria. After getting off the train the Professor goes for a stroll near a local mill-pond, seeking solitude to read. There he encounters an attractive young woman called Elise, who seems to remember an incident from the older man's childhood. It's clear what she is, though only towards the end of the story do we find out who. Finding his boyhood home unwelcoming, the Professor takes to meeting Elise by the pond, which the locals shun. Eventually he becomes mesmerised by Elise and ends up lying naked and wet in the undergrowth. The Professor goes back to his university. We next meet him after the war, having lost his position thanks to his decision to join the Party. This time he has no choice but to try and live off the family farm. He only vaguely remembers his encounter with Elise. But when he passes the pond he finds not one but two strange, beautiful beings. This is a curious tale, given the Nazi fixation with Germanic folklore and their origins in Bavaria. Perhaps Michael Eisele is arguing that the true folklore is apolitical and enduring. The revelations about Elise imply this, as from her own personal tragedy something new and beautiful emerges. And nixies are of course ineligible to vote. More from this collection soon. The next story in Michael Eisele's new collection is a bit left-field. It begins with a spaceship landing on a strange planet. We're in the realms of pulp sci-fi. Or are we? An apparently human being in a fancy space-suit emerges from the shiny ship, arousing the curiosity of the locals. The native life of the planet decide to investigate. It emerges that this world has been 'terraformed' or at least mucked-about with by space-faring humans with almost god-like powers. Without giving too much away, the story raises the interesting possibility that myths may be recreated in the future by science that, to paraphrase Arthur C. Clarke, comes to resemble magic. This tale reminded me a little of Gene Wolfe's approach to sf, though I don't think it's so successful as Wolfe's best. It might be termed science-fantasy, or sci-folklore, It's a slightly odd inclusion in Tree Spirit & Other Strange Tales, but not unwelcome. More from this fine-looking volume soon. Aha, we are in old-time pulp horror country with this cracking little tale in Tree Spirit... We're in the fairly indeterminate past when a character called Wilhelm could rampage about the Near and Middle East torturing people for the whereabouts of a mysterious tower. What the despicable German magus is after, as per usual, is greater power than mere mortal can imagine. What he finds is somewhat different. In 'Sacrifice' Michael Eisele evokes authors like Clark Ashton Smith and Robert Bloch, members of the weird fiction circle centred on Lovecraft. And yes, here are some mad Arabs, though to be fair they've got every reason to be bloody furious with Wilhelm. As he's such a nasty person you know he will come a cropper, so the question is How? The finale is satisfying, with its clever twist on a hoary horror convention. This is quite a jolly tale, with the added twist that the demonic being various scholars are trying to control is a Djinn. This gives a slight Arabian Nights feel to the drama, as yet another European finds out the hard way that mucking about with other folk's culture is very unwise. Another chunk of my opinions very soon in this running review. Stay tuned for strangeness! 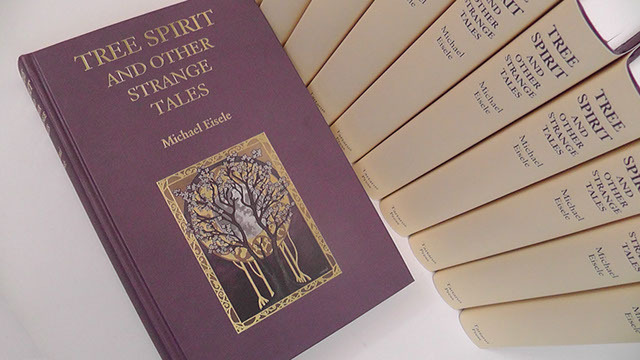 The third story in Michael Eisele's collection Tree Spirit is a novella. It's a tale of Old Europe, complete with a crumbling castle, superstitious peasants, wolves with attitude, and a mysterious presence in the forest. Young nobleman Gregor returns to his Hungarian estate on the death of his father to find his sister Gizela struggling to hold things together. It is widely believed that their father has brought poverty on the family by ignoring the Leshi, a spirit of the forest. The old man was obsessed with finding a lost treasure that was supposedly deposited somewhere in the area many years ago. Gregor is an interesting example of the quasi-Gothic protagonist, the aristocrat who served with the imperial cavalry and has the usual duelling scar. He is vain and self-regarding, but is brought back to earth by the feisty Gizela, an attractive variation on the tomboy girl from a posh family. The third character is the Leshi him- or itself. This is a richly-textured tale, beginning with Gregor's journey back from the city on the newfangled railway. Eisele offers some neatly-detailed description of life in Hapsburg Hungary, and the fine distinctions between the German-speaking elite and the Magyar peasantry. Eventually things come right, after a series of visionary experiences that recall Blackwood, among other nature mystics. And Gizela gets herself a boyfriend. So, another satisfying read. More from this substantial collection very soon. I've probably posted this before, but even if I have it's worth another look. It's here! The new collection of essays by Ro Pardoe has arrived. It's available in paperback from Amazon. The title is slightly misleading, as there are pieces by other authors, too. Most of the essays are culled from Ghosts & Scholars magazine, but there are also some interesting items from The Everlasting Club, a corresponding society to which Ro Pardoe has belonged for many years. So, what's it all about? It might not entirely surprise you to learn that the ghost stories M.R. James are under scrutiny here. However, there are also musings on authors in the Jamesian tradition, such as Fritz Leiber. The titles of the essays are great fun in themselves. 'Scrying and the Horse-Demon', 'The Night Raven', and 'The Three Fortunate Concealments' would tempt any bookish person to read on, I'm sure. And the focus varies from apparently minor details to broader discussion of MRJ's work, such as his use of draperies. Ro Pardoe has also contributed introductions to many books, including MRJ's children's story The Five Jars. You will find that here, along with intros to the early work Occult Sciences, and Tales from Lectoure. If you are long-term subscriber to G&S you will probably have read a lot of these pieces. However, few if any of us will have read them all which makes this a valuable collection. There's a very useful index of story and novel titles to round it all off, which is typically precise and exhaustive. All in all, this is an excellent book to dip into, offering scholars (and any ghosts who may be interested) arcane knowledge and thoughtful criticism in very digestible form. The art of the essay is a venerable one, and in Ro Pardoe and her circle use it with aplomb to illuminate a writer who is entertaining, sometimes baffling, and often a bit sly. 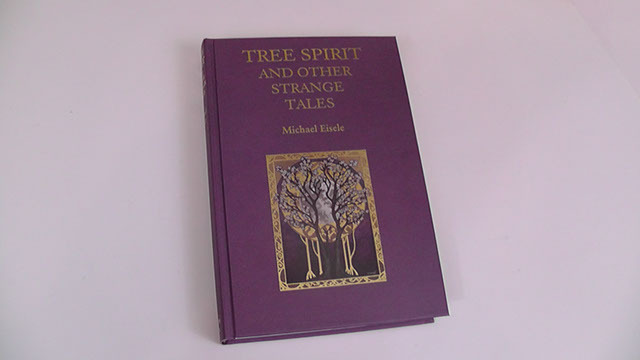 The second story in Michael Eisele's Tree Spirit is a short tale of fictionalised myth, or mythical fiction - whatever. It's about a tribe setting forth to find new lands, and encountering supernatural defences that they must overcome. The ingredients are those of a traditional tale, though some aspects of the story recall (for me at least) Gene Wolfe's science-fiction-presented-as-legend. The giant in question is clad in metal, and has a single blazing eye. Perhaps it's a big robot with a laser? This adds a nice ambiguity to events, as they may be taking place in a possible future rather than reconstructed past. What the story does demonstrate is that elements of myth are always around us, and can rise up to subsume other kinds of narrative. Well, maybe. I'm no expert. More from this running review very soon. There's another novella coming up! 'It is... no particular time or place.' So begins the first story in Michael Eisele's new collection (see post below). 'Mouse' is the story of a street boy with artistic talent who, through a series of lucky accidents, ends up staying with an artist. The boy is called Schalken, which I did find a mite confusing, as this is not a tribute to Le Fanu's classic tale, and is very different in tone and theme. But that's a minor quibble. Schalken flourishes under the tutelage of the painter Derk, who is typically impoverished and has to labour at the docks to make ends meet. I wondered where the story was going after a dozen pages or so, as it seems to be a fairly realistic tale of struggling artists in Old Europe. Then something interesting occurs - Derk has been leaving out gifts of milk for 'Mouse', which turns out to be a kind of fairy. It emerges that many such creatures still live in the cities that long ago sprawled over their glades and meadows. When his benefactor dies Schalken becomes more closely involved with the little people, and sets out to re-create their world on canvas. Eventually he achieves what he feels to be an true rendition of the world that once existed, As a variation on the theme of the artist's muse it's interesting, and the final twist is artistically right. So, a good start. Eisele, an American fabulist, follows the examples of Poe, Hawthorne, and many others by using aspects of European history for his own ends here. What, I wonder, will the next story bring? Time for a marathon canter through a new-ish book by Tartarus that is, by any standard, substantial. 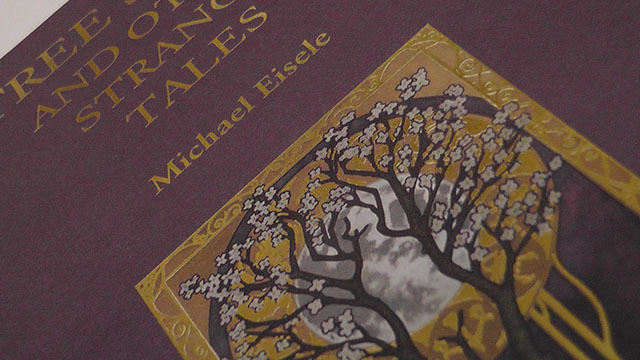 Michael Eisele's first collection of stories was well-received here, by and large - you can check back by going here. The Girl With the Peacock Harp was of course a splendid volume, as we expect from Tartarus. We expect it, but perhaps give too little thought to the time and effort that goes into such a splendid volume. Tree Spirit... is a collection of fifteen stories ranging from relatively short works to novellas. 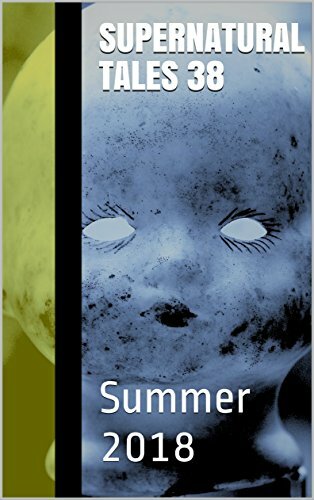 There are some linked tales, a thing I like a lot, and as in his first collection Eisele ranges from relatively 'realistic' settings to more folk/mythical material. So, buckle up, and prepare for my considered opinions.